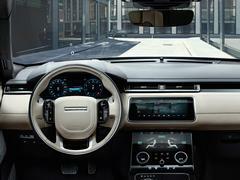 In 1970, the original Range Rover was shown to the world as an exhibit in the Louvre. 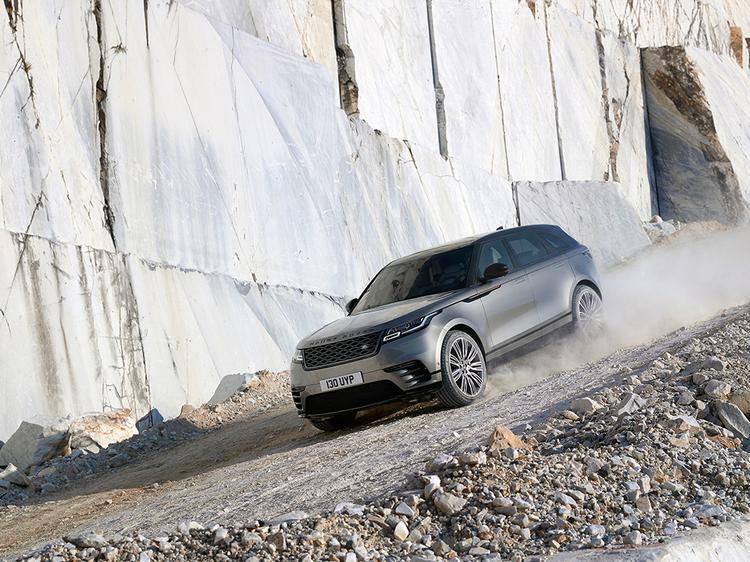 Now the Range Rover Velar follows in its footsteps as part of a static exhibit called 'Reductionism' at the London Design Museum, apparently showcasing Land Rover's "philosophy of stripping away complexity to reveal true quality." Filling the previously discussed 'white space' between the Range Evoque and Range Rover Sport, the Velar's body is developed on Jaguar Land Rover's Lightweight Aluminium Architecture, this material accounting for 81 per cent of the body in white. 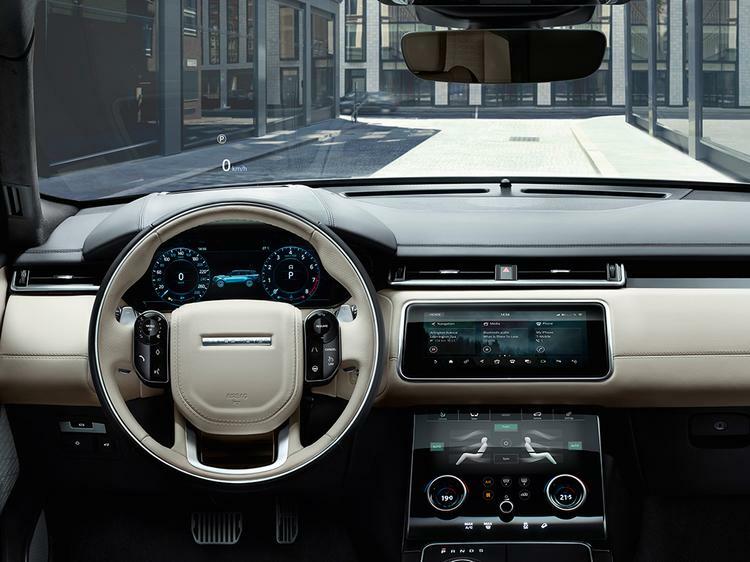 Familiar technology shared with other JLR products includes the Integral Link rear suspension, designed to deliver dynamically while reducing wheelarch intrusion into the cabin. 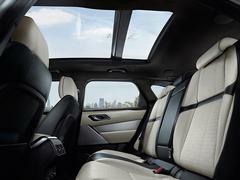 The mid-size SUV market is full of strong rivals, not least from the Germans. They're now joined by Fiat's luxury brands in the shape of the Alfa Romeo Stelvio we drove just the other day and the Maserati Levante. 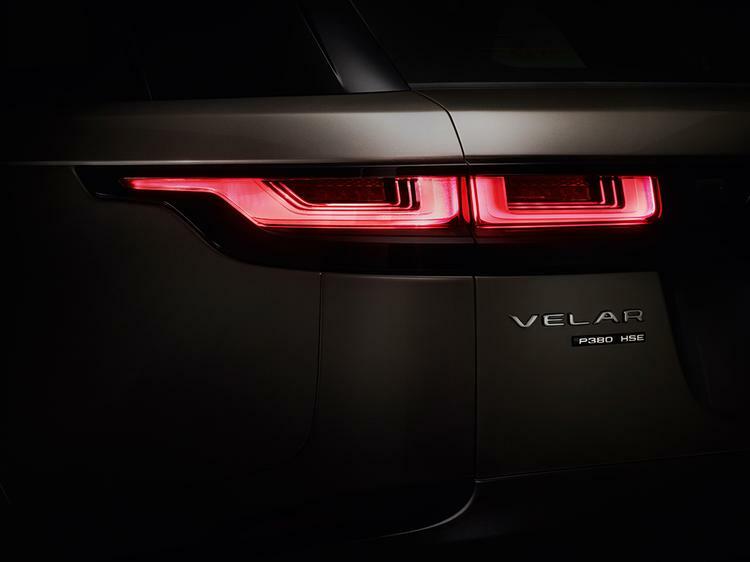 The Velar has some work to do, clearly. 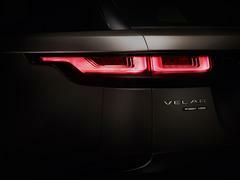 But is it a rival to the Stelvio, Macan and the rest? Or more a Levante and Cayenne sized car? With a wheelbase of 2,874mm, it is 67mm longer than a Macan but 632 litres of boot space against the Macan's 500 litres suggests it's a bigger machine all round. 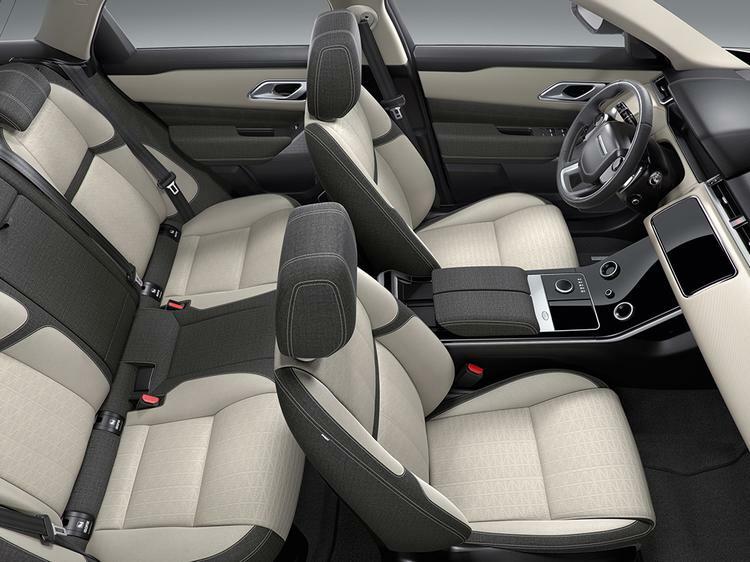 A trio of four-cylinder Ingenium engines line up alongside the V6 diesel and supercharged petrol V6, all mated to the eight-speed ZF gearbox also seen in many rivals. Diesel Ingeniums are available in either 180hp or 240hp with a 250hp petrol option also available. 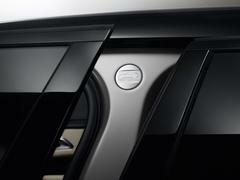 A more powerful 300hp Ingenium petrol engine will be joining the line-up later this year. 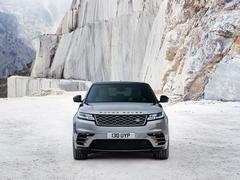 The V6s are available in both diesel and supercharged petrol guise with 300hp and 516lb ft for the diesel and 380hp with 332lb ft for the petrol, the latter good for 0-62mph in 5.7 seconds. 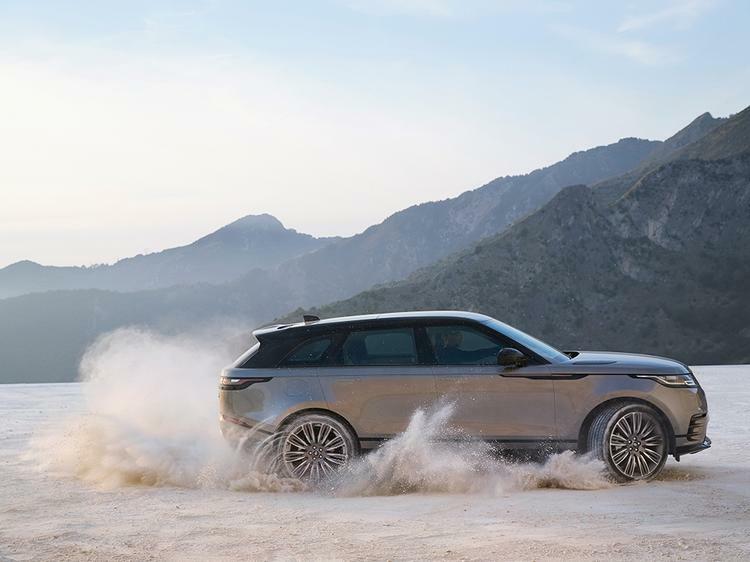 Air-suspension is standard with the V6 engines, increasing the ground clearance and wading depth to 251mm and 650mm versus the 213mm and 600mm when fitted with coil springs. 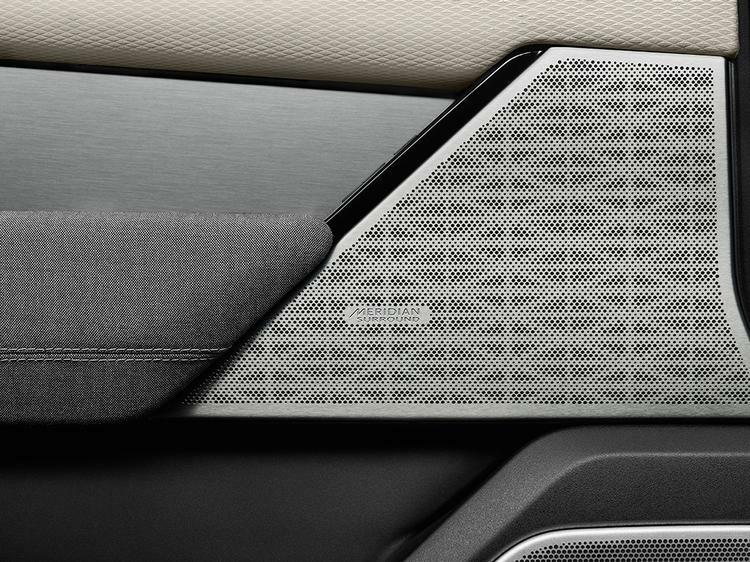 The Velar is packed with driver aids to help keep you on the straight and narrow, be that keeping you in lane or assisting with guiding a trailer into a space. Up to 2,500kg can be towed, meaning this may well figure in your Velar ownership plans. Intelligent this and assist that are backed up with an army of acronyms from AEB, LDW, LKA, TSR, RTD and ACC - basically this includes anticipatory safety systems and even a fatigue detection system to advise when it might be a good idea to stop for a brew. The 'reductionism' theme carries on inside with button clutter reduced with 'secret until lit surfaces' and the new Touch Pro Duo infotainment system, comprising two 10-inch touchscreens. 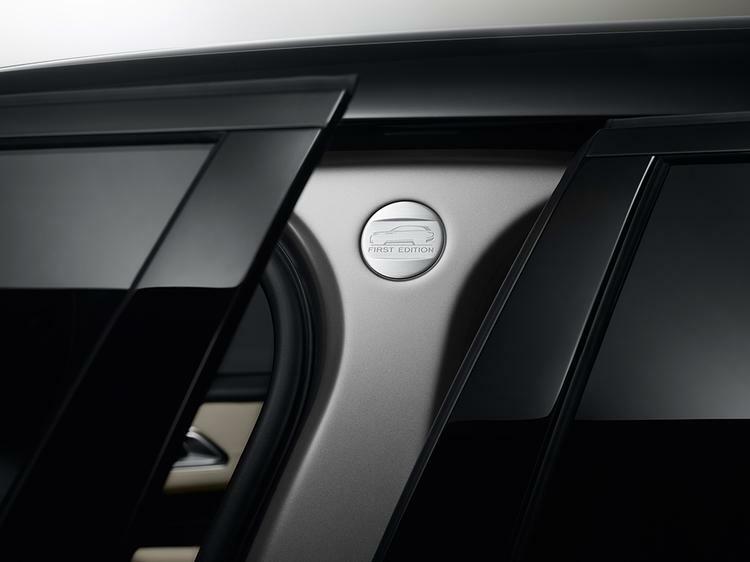 The upper screen can tilt through 30 degrees, returning flush to the dashboard when ignition is switched off. Powering the Touch Pro Duo screens is an Intel quad core processor, 60gb solid-state hard drive, an ultra-fast Ethernet network able to connect up to eight devices and micro-sim 4G connectivity. Wifi and 4G connectivity are available on S and above models. 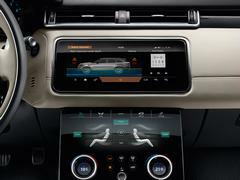 With plenty of modes to aid the daily commute, 'Commute mode' and 'Arrival mode' stand out - learning your daily drive to suggest alternative routes depending on real-time traffic information and the latter showing a 360-degree interactive view of the destination and able to find a nearby parking space and direct the driver to it. 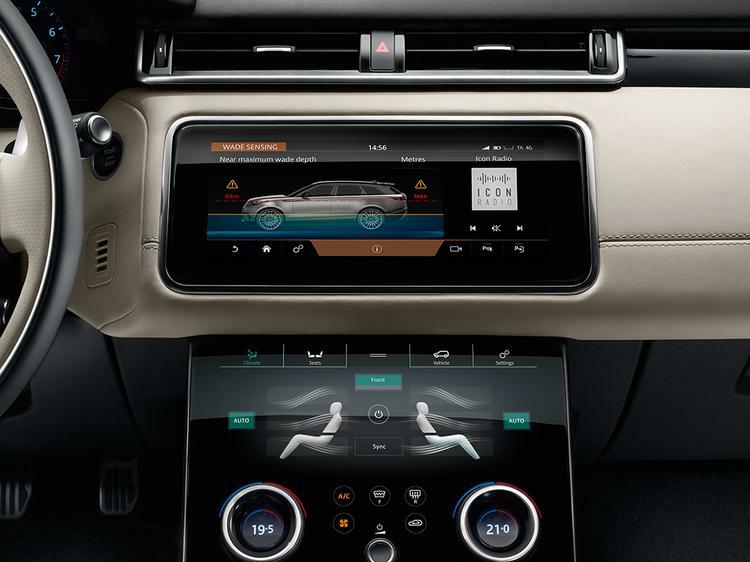 Adaptive Dynamics monitors wheel movements to vary the damping forces whilst the optional Configurable Dynamics allows the driver to tailor the vehicle settings to their individual preferences, much like in the MY18 Jaguar updates. Looking for an alternative to leather that still ticks the 'premium' boxes? 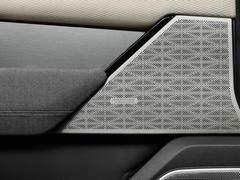 Land Rover has come up with a new fabric called Dapple Grey which comes with Suedecloth inserts made from recycled plastic bottles. Just the job if you're going to go full lifestyle and will be climbing into the car in wet or muddy clobber. 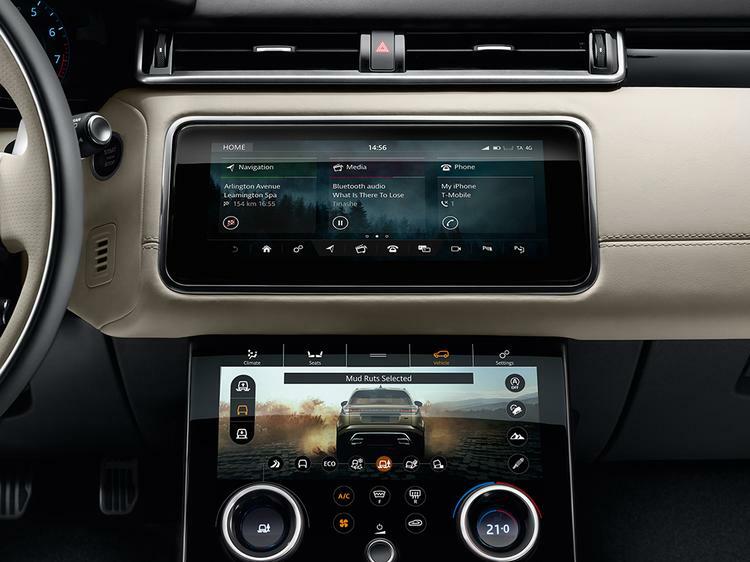 If that's you the Activity Key option will appeal too - familiar from the F-Pace it's a waterproof, shockproof wristband that can lock the car and securely disable any keys left in it while you're off doing your outdoorsy thing. Speaking of which, yes, the Velar will still be able to off-road like a proper Range Rover. 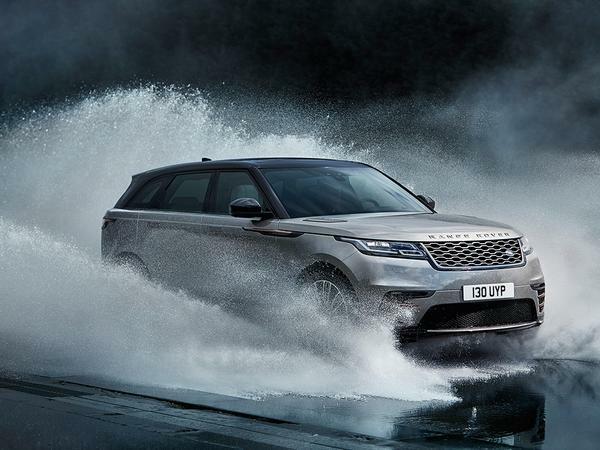 Terrain Response is standard along with Low Traction Launch and All Terrain Progress Control, the latter working like a low-speed cruise control on slippery surfaces. 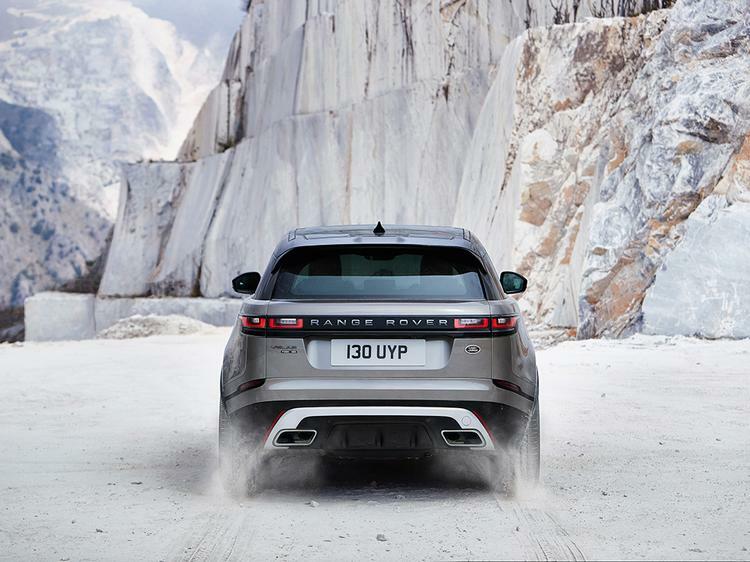 Terrain Response 2 is optional (though comes as standard on First Edition models) while V6 models come with an active locking rear differential to work with the Intelligent Driveline Dynamics to help put that extra power to good use. 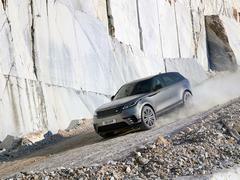 Torque Vectoring by Braking' is also standard across the range. 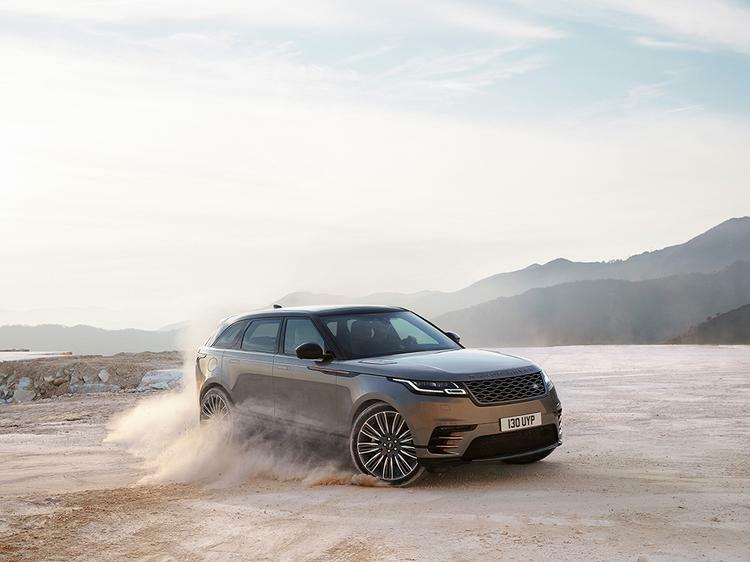 The line-up consists of Velar 2.0L D180 at £44,830, before progressing through S, SE and HSE. These latter three can be upgraded to R-Dynamic spec for an additional £2,420, adding grey wheels, an R-Dynamic exterior pack and various unique trim details inside. 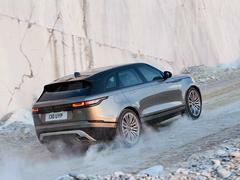 The First Edition is available in V6 diesel or petrol and costs £83,350 or £85,450 respectively and will be available for the first model year only - it uses HSE as a base spec before adding extended leather, 1,600W Meridian Signature sound system, Matrix Laser-LED lights and 22-inch split-spoke wheels. So much for the facts - as you read this the covers will be coming off the car at its formal Design Museum unveiling. Stay tuned for more on that! You can get one for £44k and £89k ? Seems a lot more for a different engine and a few options. How does it fit in with RRS, looks like a lot of cross over between two ranges. Yeah, thats quite a jump to have a 'First Edition'....I think Id rather have a pair of second editions then thanks! Makes the RRS look very dated already. The previous RRS didn't age well either. I would rather have a Macan at around 50k or a FFRR if spending 60+. Be really interesting to see how it shapes up against a Macan. The tech in the Porsche is a bit dated even before this. Suspect the Macan will still be a better drive dynamically though.